Regardless of your age or the tenure of your career, your organization and industry are changing at exponential rates. Head-spinning advances in technology, endless bottom-line financial pressures, growing networks of global economies, and changing demographics are significantly impacting your experience in your workplace. In the winter of 2006, I experienced a change that impacted my career and I, like so many of my colleagues, unexpectedly found myself alone and vulnerable. The change for me came in the form of a new boss, who within minutes of meeting me, looked at me and said "I don't hear a lot about Ed Evarts in this organization." Until this time, I considered myself a well-performing, highly regarded contributor in my organization. I had received "exceeds expectations" performance appraisals. I was well known and I thought I had a great reputation. People liked me! During my time in transition, I quickly discovered that networking was no longer enough. In today's active and busy workplaces, individuals need to seek ways to raise their visibility that includes a vast number of additional activities in addition to networking. I also discovered that getting an "exceeds expectations" on my performance appraisal was no longer enough. Individuals like me needed to find ways to add value to the financial aspects that are important to my organization. Value is becoming the new corporate currency! 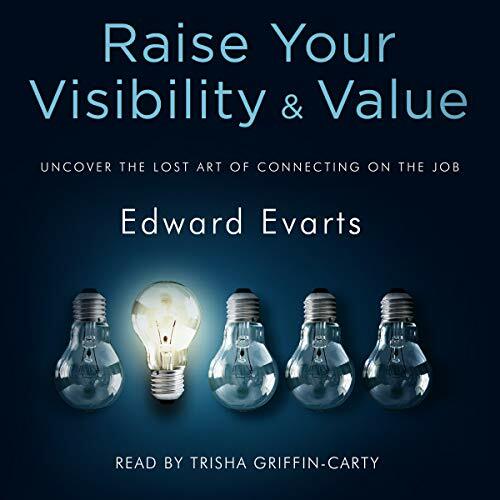 Raise Your Visibility & Value explores the changing organizational and industry environment where networking and performance appraisals are slowly being replaced with visibility and value. Discover the seven visibility accelerators and uncover new and exciting ways to increase your engagement and productivity in your workplace and your visibility and value in your industry.